How popular are leadership development programs with students? LDP Connect spoke with three career development experts from three universities and found some variation. Here, they offer some helpful advice for companies and on-campus recruiters to make students aware of their leadership development programs and make them stand out from other early-career options. Jennie Marchal is Associate Director at the Vanderbilt University Career Center. Cheri Paulson is the Senior Director for the Graduate Center for Career Development at Babson College. Brian Frenette is Senior Associate Director with Yale University’s Office of Career Strategy. Our panel offered a range of insights into students’ perceptions of LDPs, as well as some actionable advice for campus recruiters looking to make their programs more appealing. Here is some of what they had to say. At Babson, graduate students talk to one another about the issues that impact them and the opportunities they have; and the positive word about LDPs is out. In fact, Cheri says “LDPs are at the top of most of our students’ lists” when they’re evaluating their options. At Vanderbilt, on the other hand, Jennie says says her students aren’t always aware of LDPs as an early-career option—though her team is working to change that. Vandy’s new Employer Relations office is reaching out to corporate recruiting departments that have traditionally engaged directly with faculty and student groups. 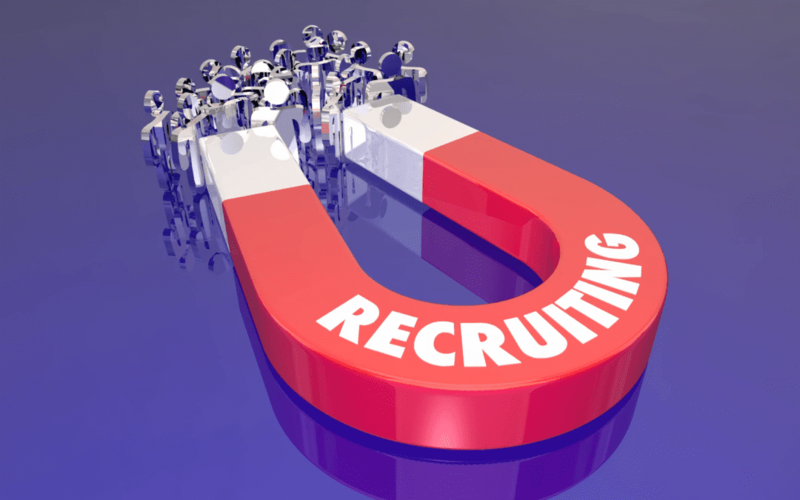 Showing an interest in students early on also benefits companies’ on-campus recruiting efforts. Engaging first- and second-year students should be seen as a long-term investment in building their talent pipeline. At Yale, Brian connects students and alums of Yale College, Yale Graduate School of Arts and Sciences and postdoctoral scholars with a wide range of corporate partners—many of them looking for the leaders of tomorrow. He says program recruiters should emphasize the “leadership development” component of their programs to entice the right candidates. “I think many of our students see themselves as leaders,” adds Jennie at Vanderbilt. “They are leaders on campus, and they’ve been leaders their whole life.” She says recruiters should share success stories about leaders who have gone through their programs in years past. Cheri says Babson’s MBAs are attracted by the opportunity to work directly with executives and present ideas to upper management. Brian agrees; he thinks this access to leadership shows the prospective employee that an employer is invested in the program, and recruits respond well to that. “They [students]need to be seen and taken seriously,” he says. In addition to leadership opportunities, the most successful recruiters showcase programs that expose employees to a wide range of experiences. The versatility of a rotational program is attractive to those who may have some apprehension about what they want to do with their lives. As a private business school that attracts “entrepreneurial spirits,” Cheri says Babson’s students are also excited by the prospect of pivoting through multiple roles in operations, marketing and leadership, for example. It gives them the opportunity to understand the broad organizational structure of a successful company. Cheri likens rotational programs, on the other hand, to “dating around” within the organization. Traditional recruiting pitches consistings of PowerPoint presentations and interviews are not fun for anybody. So what else is there? Cheri says her grad students respond well to corporate “design thinking” exercises when recruiters are on campus. Design thinking is a collaborative exercise approach that helps companies understand and develop creative ways to solve a specific issue. The exercises let recruiters see how prospective employees interact and learn together while allowing students to show off what they know. Typically, design thinking means grouping students into teams to solve specific problems. This gives employers fresh perspectives on a real-world problem and rewards the students with instantaneous feedback on their ideas. Career-minded students want to know what’s ahead for them. That’s why recruiters need to lay out a clear path through the application and interview process that is all-too-often chaotic. LDPs that are structured to reflect the ebb and flow of the academic semester can be appealing. For example, Brain says Yale grads do well in programs that last two years and rotate employees into new tracks every three months, punctuated by brief breaks in between. This cadence is familiar to anyone from the academic world, where semesters get more intense as they progress and are broken up with short breaks in between. “If they’re adept in an academic environment, why not have that professional environment emulate the environment where they’re already adept?” Brian says. Another important part of a recruiter’s pitch should be clearly laying out how a student will move through the organization during the course of the program. This includes job responsibilities, the duration of each rotation, and details about how performance will be evaluated. “Understandably, students will be wary of applying to a two-year program that does not provide clarity regarding the role itself,” Brian says. Through regular feedback from employers over the years (such as through Babson’s Employer Advisory Board), Babson students have learned the importance of developing soft skills such as conflict resolution, working without supervision, teamwork and dealing with the ambiguity of new situations. Showing candidates how your program can benefit them means emphasizing the ways LDPs develop these soft skills. “The more they can exercise those muscles, the more successful they’re going to be in the long term,” Cheri says. The opportunity to build a professional network is another benefit that sets LDPs apart from traditional early-career options. Be sure to show recruits how they’ll be able to network with other recent graduates in supportive communities that encourage collaboration. Development programs clearly represent an employer’s effort to invest in a recent graduate, which often speaks for itself on campus.